Are you experiencing any back pain? Whether it's lower, middle, or upper back pain, most people experience some degree of back pain some time in their life. Back pain is one of the main reasons people seek chiropractic help. Approximately 80% of the population will experience some degree of back pain in their lifetime. It is no surprise that back pain is the #1 cause of disability in the U.S. Our team will walk you through every step of understanding what causes your back pain, how to deal with it appropriately, and how to get rid of the pain. We want you to live a pain-free, healthy life! It’s not always a physical injury that is the primary cause of back pain. Other conditions such as arthritis, obesity, urinary tract infections, and kidney stones have been shown to cause symptoms of lower back pain. 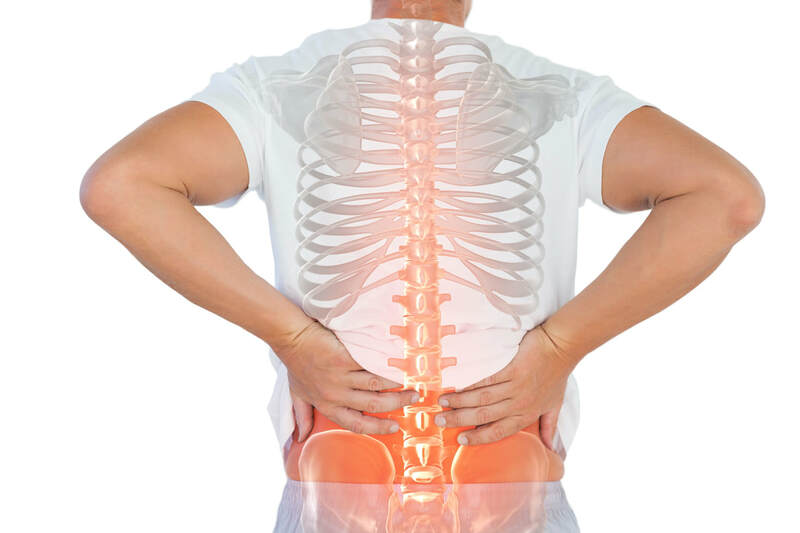 Our team will conduct a thorough examination on your back to understand the root of the cause. This helps us develop the optimal treatment program tailored to your specific issue. Our experienced chiropractors specialize in many chiropractic services so you can rest assured that you will only receive the finest care at Spinal Correction Center. We want you to return to the healthy lifestyle you once had without back pain. Whether you were involved in a severe accident or have dealt with back pain for years without any known cause, we are here to provide you the best chiropractic care in Richmond so you can return to that healthy and active lifestyle. ​Even if you have seen a chiropractor in the past with no results, give our experienced chiropractors a visit to find out if your previous chiropractor may have missed something. From a thorough chiropractic consultation to medical imaging, we do everything we can to fully understand your pain source and get you back to recovery. We'll provide you a diagnosis with our recommend treatment plans for your specific pain. If back pain is left untreated, it could go from a minor condition to a serious lifelong issue. Visit Spinal Correction Center and Dr. Mulvaney will help you understand your pain so you can get rid of it for good. When health care professionals, such as our experienced chiropractors, properly diagnosis the cause of your back pain, the treatments help and work. Studies have shown that chiropractic care is the most effective form of treatment to help with various causes of back pain. Visit us for a chiropractic consultation and our team will help you understand if chiropractic care is the perfect solution to resolving your back pain for good. Visit us at our office to treat your back pain and change your life for the better. Our team will provide you with the tools to live a healthier life. Whether you were injured in a sports related activity, auto accident, or something entirely different, the specialists at the Spinal Correction Center of Richmond are happy to help you understand your options and get you back to recovery. Give us a call today to learn what we can do for you to get you back to wellness.